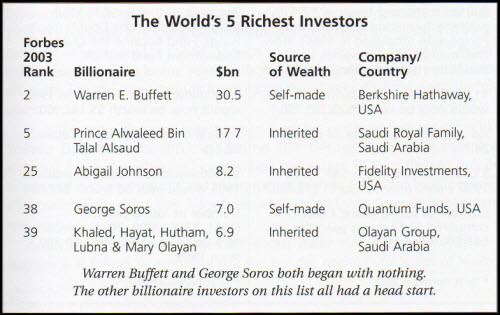 Warren Buffett and George Soros are the world’s most successful investors. Buffett’s trademark is buying great businesses for considerably less than what he thinks they’re worth — and owning them “forever.” Soros is famous for making huge, leveraged trades in the currency and futures markets. No two investors could seem more different. Their investment methods are as opposite as night and day. On the rare occasions when they bought the same investment, it was for very different reasons. What could the world’s two most successful investors possibly have in common? On the face of it, not much. But I suspected that if there is anything Buffett and Soros both do, it could be crucially important…perhaps even the secret behind their success. 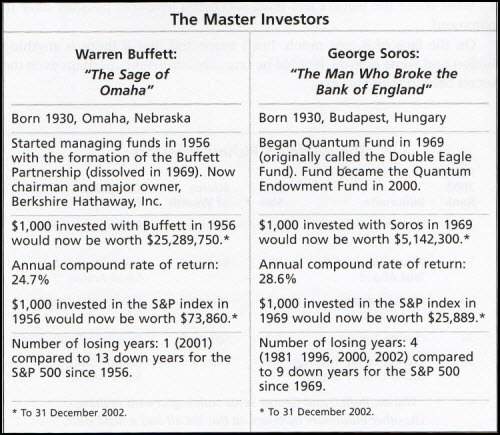 Buffett and Soros share the same beliefs about the nature of the markets. When they invest they’re not focused on the profits they expect to make. Indeed, they’re not investing for the money. Both are far more focused on not losing money than on making it. They never diversify: they always buy as much of an investment as they can get their hands on. Their ability to make predictions about the market or the economy has absolutely nothing to do with their success. As I analyzed their beliefs, behaviors, attitudes and decision-making strategies, I found 23 mental habits and strategies they both practice religiously. And every one of them is something you can learn. My next step was to “test” these habits against the behavior of other successful investors and commodity traders. The match was perfect. The feared company raider Carl Icahn — whose net worth leapt an amazing 52% in 2003 to rocket him past George Soros on the Forbes list of the world’s richest people; Peter Lynch, who produced an annual return of 29% during the years he ran the Fidelity Magellan Fund; legendary investors such as Bernard Baruch, Sir John Templeton and Philip Fisher; and every one of dozens of other highly successful investors (and commodity traders) I’ve studied and worked with, all practice exactly the same mental habits as Buffett and Soros, without exception. Cultural background makes no difference. A personally dramatic moment came when I interviewed a Japanese investor living in Hong Kong who trades futures in Singapore, Tokyo and Chicago using Japanese “candlestick” charts. As the conversation proceeded, I checked off one habit after another from my list until I had 22 ticks. The final test was whether these habits are “portable.” Can they be taught? And if you learnt them, would your investment results change for the better? I started with myself. 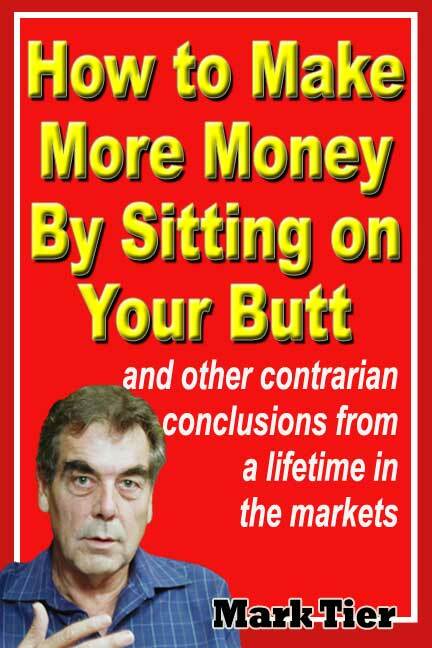 Since I used to be an investment advisor, and for many years published my own investment newsletter, World Money Analyst, it’s embarrassing to admit that my own investment results had been dismal. So bad, in fact, that for many years I just let my money sit in the bank.